Conventional wisdom has it that a chef can’t cook and manage their own restaurant at the same time if they want to have a healthy personal life – or even health. There just isn’t the time and those who know say it’s the express route to burnout. Which is why in Season 3 of “Hustle & Soul,” now airing Thursdays on WE tv, chef Lawrence Page has tasked fiancee Ana Lavender with opening the new Atlanta location of his restaurant The Pink Teacup, while he concerns himself with the opening in Miami Beach. Ah yes, staff infighting – a popular pastime at the Teacup over the series’ first two seasons and one that has gained Page much experience as a referee. 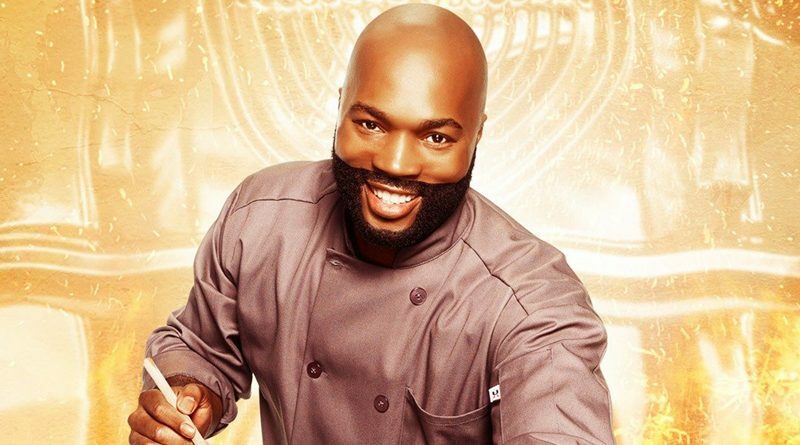 This season, the Alabama-born chef and restaurateur will endeavor to elevate soul food’s culinary status at the new South Beach location while entertaining celebrity clientele and dealing with the usual problems of managing people. Back in Brooklyn, Thandi is running the original restaurant while harboring a secret that concerns Lawrence. And of course, there is the Atlanta opening and Ana’s adventures there. Running two restaurants, Page says, has matured him and sharpened his managerial and social skills in innumerable ways. Probably the most difficult part of running a business, he has found, is managing people and he looks forward to showing how much he has grown in that area in the new season.